924Board.org :: View topic - Any rear camber tricks ??? Any rear camber tricks ??? 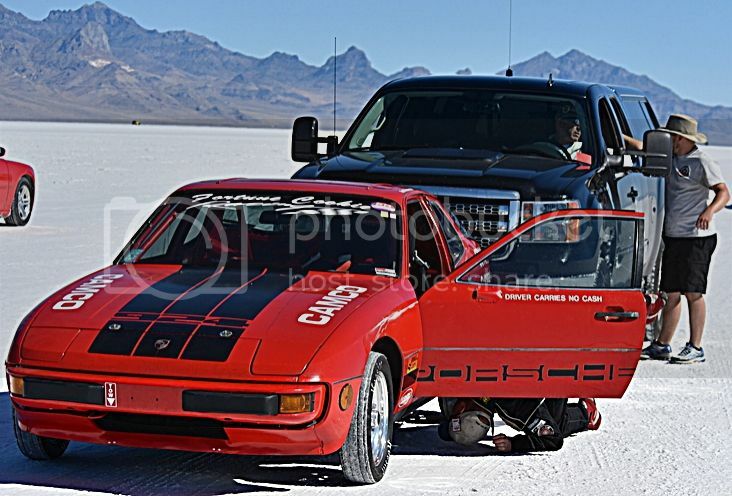 We should have this picture with a text in it like: Bonneville class record holder in our daily picture set. Loving the 'notice' sticker on the driver's door. 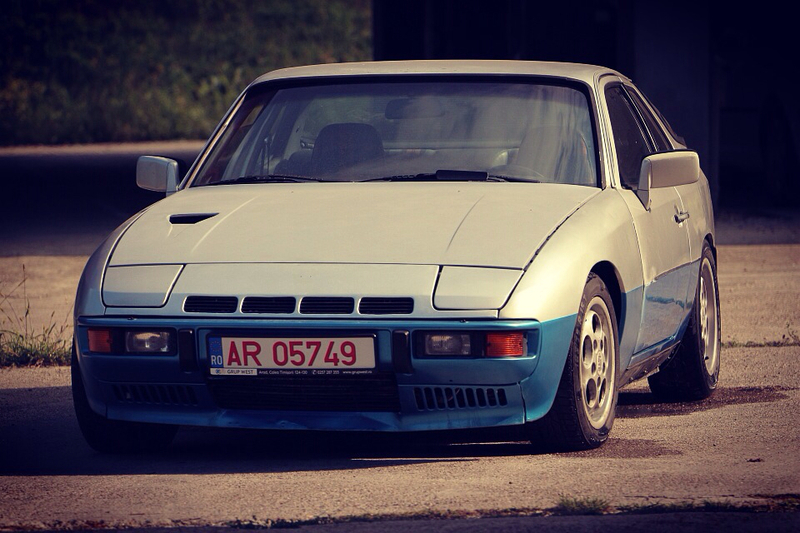 A little downforce from a 931 wing might help you with stability and increase CD, if you can, maybe even think about the 944 and GT wings..
A flush mount windshield may help aero some, a euro front bumper and front fenders probably would too.. I don't know much about your suspension geometry question but it looks like you could go even lower yet since you say their isn't much for bumps..
Maybe lower with stiffer springs..
Also with such a unique traction situation It makes me wonder if running like a rally car, no sway bars and very little to no shock dampening, would be the best to keep your tires on the ground..
Keep up the good work man we love hearing about your car..